The Vegan Souffle Problem | What's French Cooking Without the Butter? Trial one: replicate the recipe exactly as it is called for, simply replacing butter with Earth Balance and egg whites/yolks with the substitutions as given by Ener-G Egg Replacer. Result: disaster. I had not whipped the ‘egg whites’ sufficiently and the whole batter never really set. I was left with a rubbery pudding. Into the trash it went. Trial two: halve the egg whites and add 3/4 tsp of baking soda. I had read that baking soda would be more appropriate in a recipe like this, as it would not leave a bitter taste. I still had not whipped the egg whites sufficiently. This is how to tell that your egg whites have not been beaten sufficiently. Result: a second disaster. 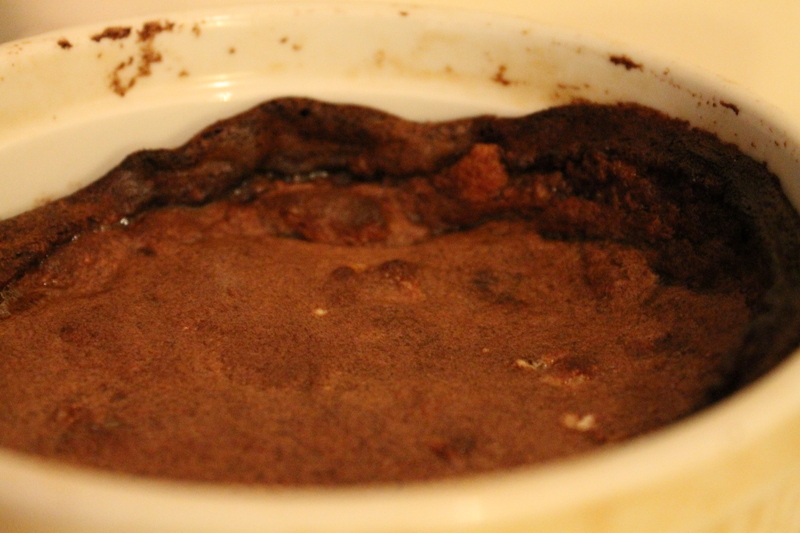 This second trial had risen a little bit more, but still had a very pudding-like texture. I wasn’t sure if I wasn’t cooking it long enough, or if it was something in the batter. Maybe I needed more flour? But this time the edges had cooked a little bit more, and that sort of crust at the edges tasted really nice – almost like a crepe. But the middle still tasted sort of bland. I peeled the cooked edges off and ate them quickly, tossing the rest into the trash. I axed the plan to build on a plainer tasting souffle. I wasn’t ready to replace the actual egg flavor, the thing that would bring the souffle together (and not just in making the batter actually rise and emerge from the pudding phase). I needed something with a lot of flavor. Chocolate souffle. I quickly scanned the ingredients, happy to see that I could use that morning’s leftover coffee in the recipe. I added the chocolate to a bowl with the coffee, set it over a pot of simmering water so that it could melt slowly and got to work on the next steps. 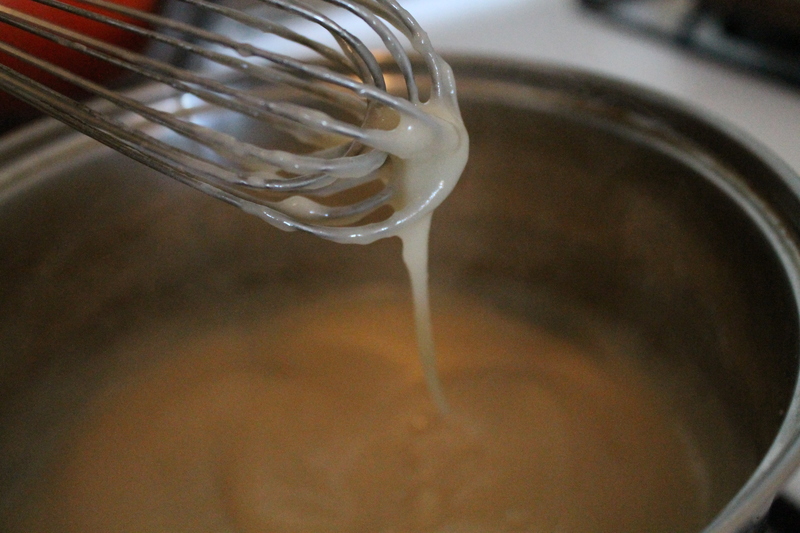 By this time I was an expert at mixing the flour, milk, and butter to create a thick base sauce. I whisked the ‘egg yolks’ in another bowl, added them to the base along with vanilla extract. And then I sat down to whisk the egg whites by hand. Six in this case. If you’re doing the math, that’s 8 teaspoons of egg replacer powder. This is where fate intervened. As I sat there whisking and whisking, and whisking some more. Justin finally turned to me and asked why I wasn’t using the standing mixer. Maybe he was annoyed that all of the noise was interrupting the football game. But why not indeed! I fumbled for an answer, thinking that it wasn’t enough liquid for the mixer to be able to work in this situation. But ten minutes into whisking by hand, I was tired and nowhere nearer to having attained the texture of actual beaten egg whites. Out came the standing mixer. I poured it all in to the bottom and turned it on medium and walked away. Ten minutes later, I had beaten egg whites. In fact, I had so many of these egg whites, that it wouldn’t all fit into my souffle dish. I first added all of the egg whites to the chocolate, but my pot started to overflow, so I had to dump it all back into the standing mixer bowl. I folded it together, but the texture seemed to be a little bit lumpy. I opted to mix it a little bit more aggressively to ensure that the ingredients had been incorporated thoroughly – and in fact the egg whites didn’t deflate. I poured it into the souffle dish and popped it into the oven. This last trial wasn’t a complete disaster. I let it bake for the full 40 minutes, but it wasn’t done. It did deflate – what had gone into the oven as almost overflowing, came out as slightly deflated. I was able to get a cooked crust evenly across the top, but the inside still had a pudding texture. But this time it wasn’t rubbery and the flavor was quite excellent. We let it cool for a few minutes as the batter was still bubbling underneath the surface and then quickly dug in. Maybe I should be marketing this as a mousse, but I don’t think it would be that much fun to eat a big bowl of starch. I’d rather try a vegan mousse by using soaked cashews or tofu. I am feeling ambitious enough to try the souffle again, increasing the flour a touch and adding more baking soda that that I can get a more cake-like texture. Hopefully next time I will be able to post a recipe. The finished product – a baked crust. This entry was posted in Baking, Souffle and tagged cooking disasters, dessert, earth balance, ener-g egg, ener-g egg replacer, kitchen aid standing mixer, soaked cashews, souffle base sauce, vegan chocolate souffle, vegan chocolate souffle coffee, vegan egg whites, vegan french cooking, vegan julia child, vegan mousse, vegan pudding, vegan souffle, vegan souffle base sauce, vegan vanilla souffle, whipped vegan egg whites. Bookmark the permalink. 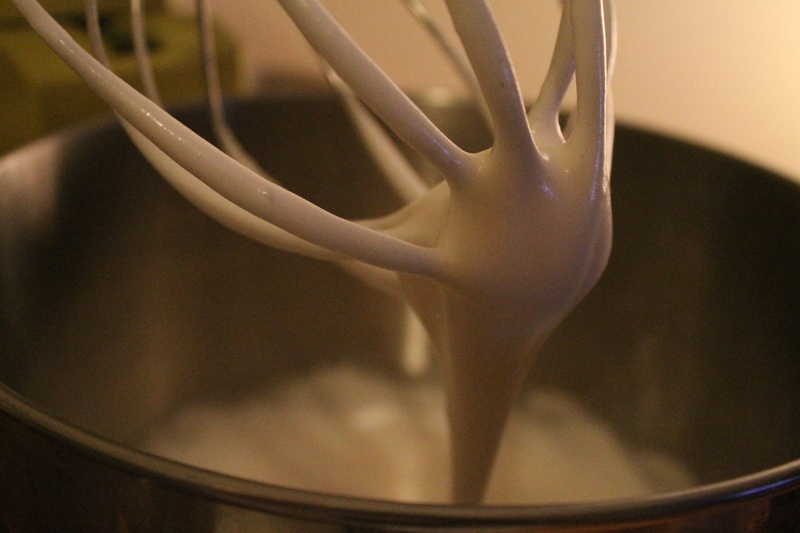 Yep – I’ve never been able to get egg whites (real or faux) whipped into actual thickness without the standing mixer. It’s exhausting my hand! Vegan souffle is definitely very ambitious! Unless it was on the counter, I probably wouldn’t have used the stand mixer either. 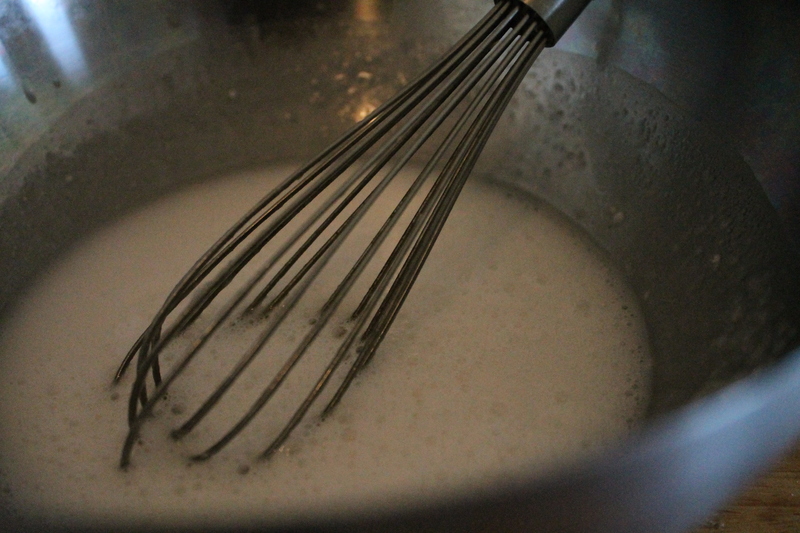 It just seems easier with the whisk, until about 5 minutes in, when it stops being easier.